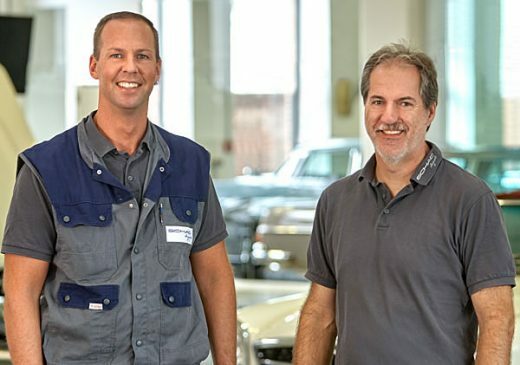 Whether it is a matter of perfectly adjusting a fuel injection system that is just not working the way it should, dealing with a mysterious noise coming from the transmission, providing onsite repair services during a trip across the Alps, or giving breakdown advice via an impromptu telephone hotline – with their experience, dedication and intuitive grasp of technical matters, our team at the Mercedes-Benz Oldtimer Werkstatt finds a solution to every problem. 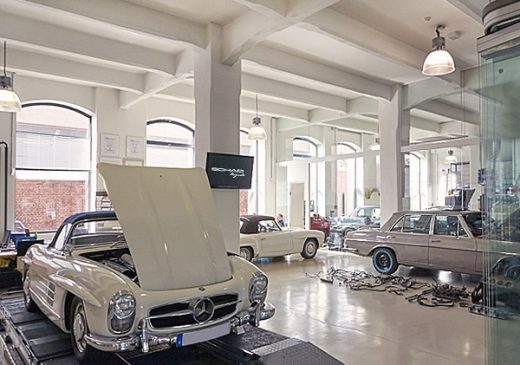 has managed the Mercedes-Benz Oldtimer Werkstatt, located in the Klassikstadt in Frankfurt am Main, since 2012. His working relationship with Bernhard Schad began twenty-five years ago, when they first started repairing Mercedes-Benz cars together. A certified master automotive mechanic with a passion for technical and mechanical challenges, today his down-to-earth, open manner and broad experience set the tone in this key area of expertise at SCHAD Originale. has been supporting Sigurd Paul since 2017 and is the youngest member of our management team. Drawing on his extensive know-how as a certified automotive mechanic and certified master automotive technician, he solves even the most unconventional technical challenges with focus and expertise, and greatly enjoys working on classic Mercedes-Benz models of his own generation. It is no coincidence that our Mercedes-Benz Oldtimer Werkstatt was one of the first tenants in the historic buildings formerly belonging to the Mayfarth agricultural machinery factory. The open architecture and unfinished brick walls, combined with an industrial look and feel and with automotive treasures all around, reflect our own culture and express how we work: with a clear sense of tradition and a commitment to meeting the highest standards of perfection in craftsmanship. How does a freshly certified mechanic, with the best examination marks in his year, go about starting his career? 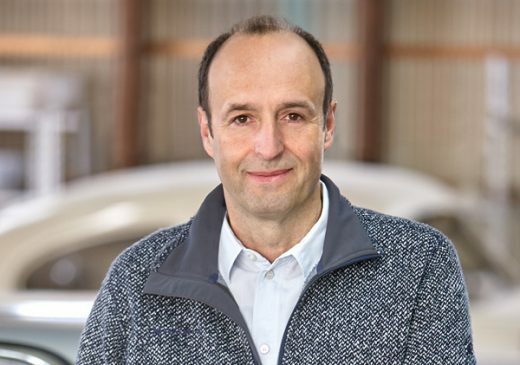 Bernhard Schad, founder and general manager of SCHAD Originale, decided at the young age of 24 to take the leap into self-employment and opened his first Mercedes-Benz repair shop in 1985. He thus laid the foundation for what is today the Mercedes-Benz Oldtimer Werkstatt, located in the Klassikstadt in Frankfurt am Main. Since then, his passion for perfection in automotive craftsmanship and for the preservation of historic cars has led to the founding of two further divisions: Oldtimer Manufaktur, a vintage car restoration workshop, and Karosserie & Lackierfachbetrieb, a workshop providing bodywork and painting services for contemporary vehicles. Today SCHAD Originale employs more than 50 people at two locations.